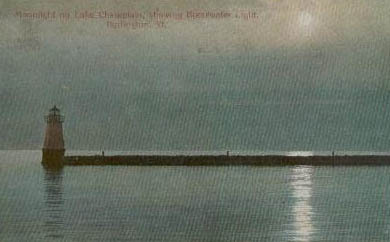 Lake Champlain has always been an important part of Burlington's history. The waterfont has served as an industrial hub and it has always been a transportation center for both rail and boats. The best view of the waterfront cane be seen from Battery Park. The lake has also been a great resource for recreation at North Beach, Queen City Park and boating. 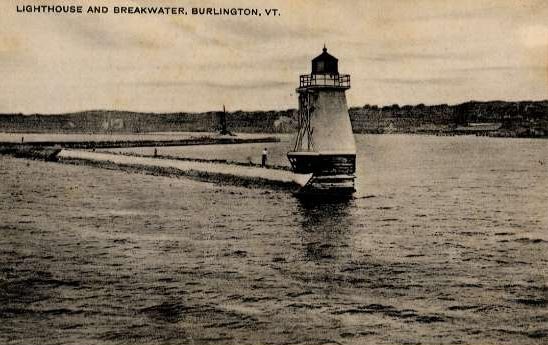 There also used to be some lighthouses. There are numerous beautiful homes such as Oakledge Manor , Cedar Beach and Allenwood. Of course, there beautifiul views and sunsets. You can also always head north to Mallets Bay or south to Shelburne or down the river to Winooski. Check out geology at its finest at Rock Point.